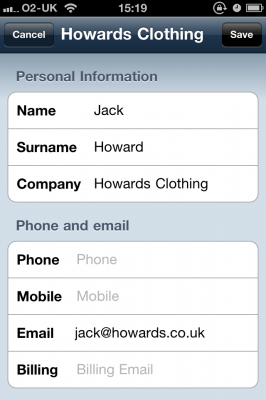 The two main features added are contact and project editing (and adding). You can now select a contact or project, and change some of the fields in it - for example, if you are out at a client and they tell you they have changed their billing email, as the CEO isn't the right person to get invoices. Not all the fields are available to be edited - project-level invoice sequences are not available, for example - but the most useful ones are, like name, company, phones and address. 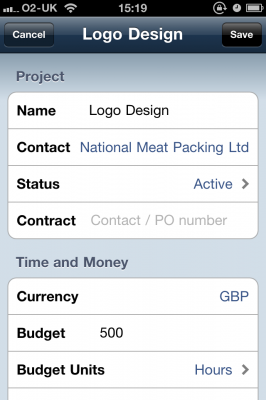 You can also create a new project or contact in mobileAgent - you can even import a contact from your phone into mobileAgent, and then sync it up to FreeAgent.